Here are some links to websites that might be of use to you when planning your trip or if you are thinking of living in Spain. Learn Spanish whilst on holiday. Combine private tution in your holiday home with plenty of free time to do as you please. 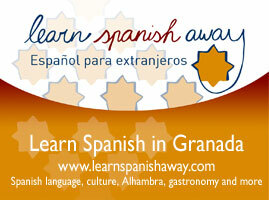 Visit http://learnspanishaway.weebly.com for more details. Walking and Trekking Holidays in the Sierras of Southern Spain - Guided walking holidays with an experienced and qualified guide. Spain Car Rental: If you wish to buy car rental services to and from the city of Spain, you can contact Spain Car Rentals. Airport Transfers to Nerja - Book your airport transfer from Malaga Airport to Nerja online today with Nerja Taxis.